Cannon is going to launch a new camera with some new features, as it is able to capture the footage even in the nearly dark. Canon cameras always stand on the bleeding edge as it introduced Canon 5D and 7D DSLR cameras for pro films. Canon tried to make best ever camera with the first line budget of DSLR’s camera as the EOS range or the iconic Canon 1D. Now once again, Canon broke the ground with the launch of ME20F-SH. 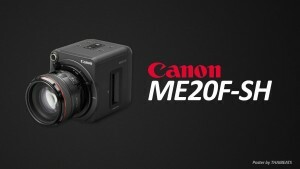 Canon has given the challenge to the companies such as RED and Arri, which made digital movie cameras by introducing its new ME20F-SH camera and aimed to reach the top of the heap once again. Canon shapes the 1080 pixels camera, which is intended at different fields such as cinema, wildlife documentaries, and nighttime surveillance/security etc. the main purchasing point is its CMOS sensor as Canon has been developing for pretty a while because it spends a lot of money on this. With the ISO of 4,000,000, it helps you to record full-color video in darkness. It is an eye-catching feature of Canon ME20F-SH. Hey folks, let me know you one more thing that besides this informative article, we have shared one more article in which we have reviewed some of the best rear view mirror cam, with the complete buyer’s guide. So if you need some best suggestions to buy the best mirror dash cam then you should visit the http://desirereviews.com/ where you will get the detailed review of some of the best performing dashboard cameras. The basic features of the camera include a lightweight body, as the weight of the body is approximately 1.1 kg. Existing canon’s users can use the old lenses in this camera because it has proprietary EF mount. 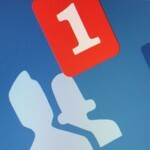 The other impressive feature is the minimum subject illumination that is less than 0.00005 lux. The people, who do not know that what illumination is, then let me tell you it means that you can take pictures even in a dark room easily because the camera can illuminate and will show everything in a completely dark room. The back panel of the camera is loaded with buttons and ports that support easy access to many kinds of appropriate connections. The camera is going to launch in the month of December of the same year with the price at $30,000 (INR approx. 19, 50,000). The camera will be available in India by early 2016 with this eye-watering price. If you still have attention on it then you have to wait for the release of this full of potential camera.